Derek grew up in Lancaster, PA and majored in Biology at Millersville University of Pennsylvania. He did a summer undergraduate research experience (SURE) internship at UNC-CH in the genetics department prior to his last semester of undergraduate studies. He is now a 3rd-year PhD student in the Microbiology & Immunology program. His work currently focuses on understanding viral and host determinants of Zika virus pathogenesis. Cesar grew up in Modesto, CA, and received his BA from Rice University in Philosophy as well as Biochemistry & Cell Biology. He worked in Jason Kimata's lab at Baylor College of Medicine as an undergraduate, studying innate immune restriction of SIV by SAMHD1, as well as a summer internship with Peter Hotez studying a Trypanosoma cruzi vaccine. He is currently a 3rd-year MD/PhD student in the Microbiology & Immunology program, investigating how prior dengue immunity affects congenital and sexual transmission of Zika virus. Becca is originally from New England; she grew up in Bedford, NH and received her BA in Biology from College of the Holy Cross in Worcester, MA. 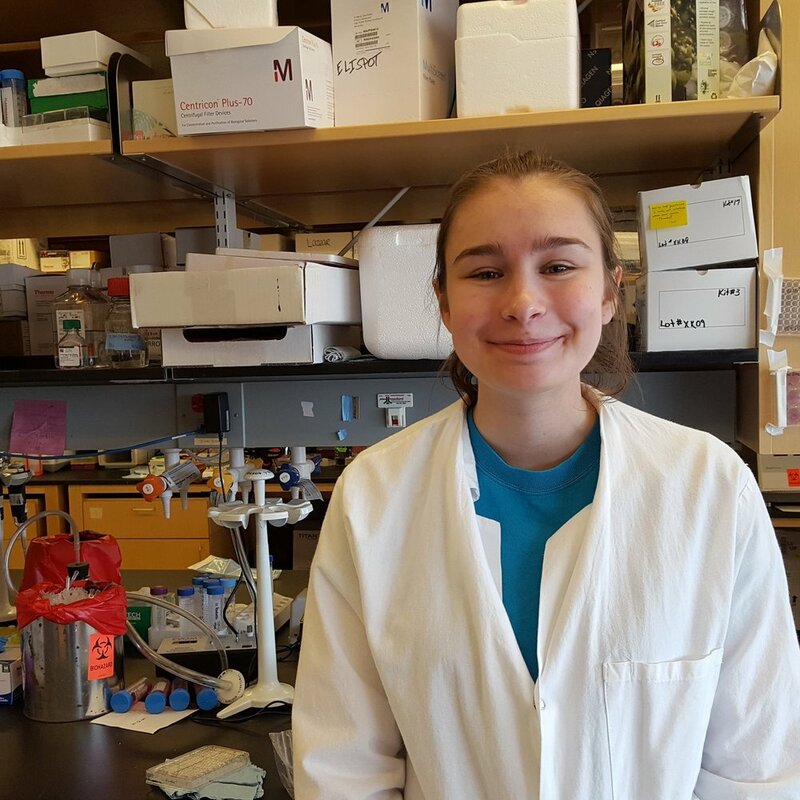 There she began her research training in the lab of Dr. Ann Sheehy studying the anti-HIV mechanisms of the Apobec3G protein. 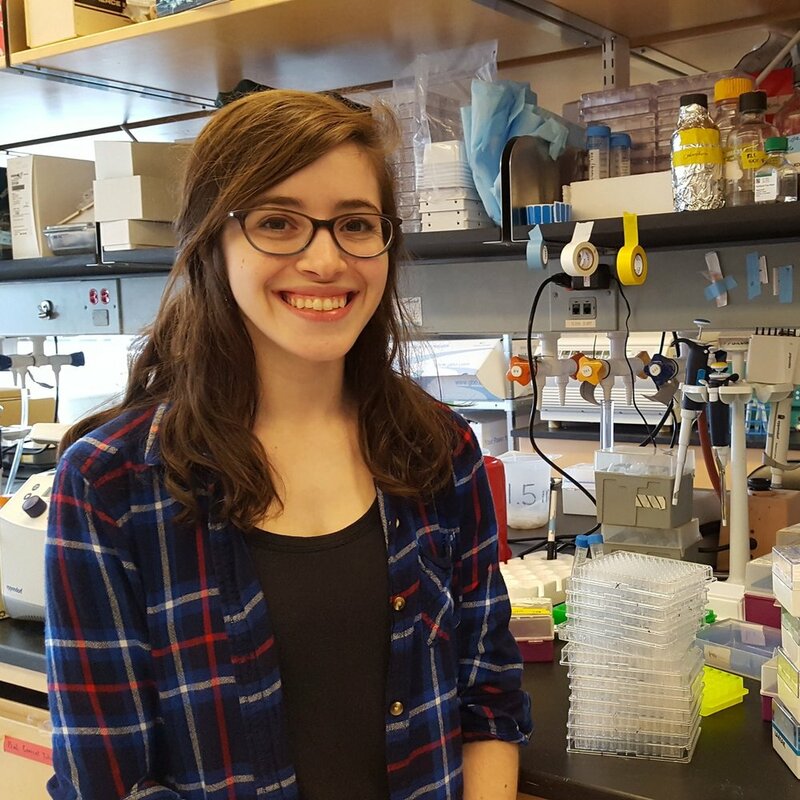 Becca is a 2nd-year PhD student in the Microbiology & Immunology program; her research in the Lazear Laboratory focuses on understanding the role of interferon lambda in restricting congenital infections such as Zika and rubella viruses. Claire is from Charlotte, NC and is currently a senior Biology major at UNC. She is interested in the role of sequence variations in Zika virus pathogenesis.